Students who are deemed competent will receive a Statement of Attainment for Confine Small Workplace Emergencies which is recognised under the Australian Qualifications Framework. This certification is nationally recognised. The Statement is issued by Pinnacle Safety and Training (RTO 40496). 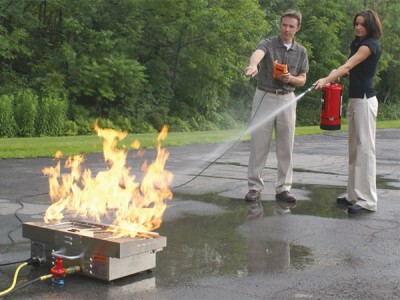 Our fire extinguisher training course is designed to ensure trainees are suitably instructed in the safe use of fire extinguishers, fire hose reels and fire blankets. 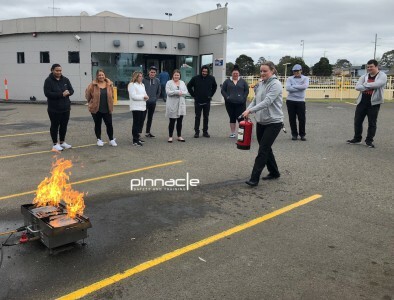 This course includes both a theory and a practical component to ensure that successful participants can safely attend and resolve confined small workplace fire incidents. This course is a must for all organisations that want to equip their employees with the expert knowledge needed in a first response emergency situation. Using a fire extinguisher, fire hose reel and fire blanket, participants will gain hands-on practical experience with fire-fighting equipment. 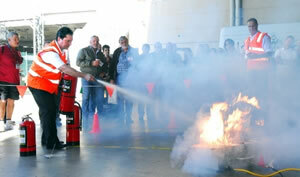 They will also be instructed in correct firefighting tactics and safety procedures.